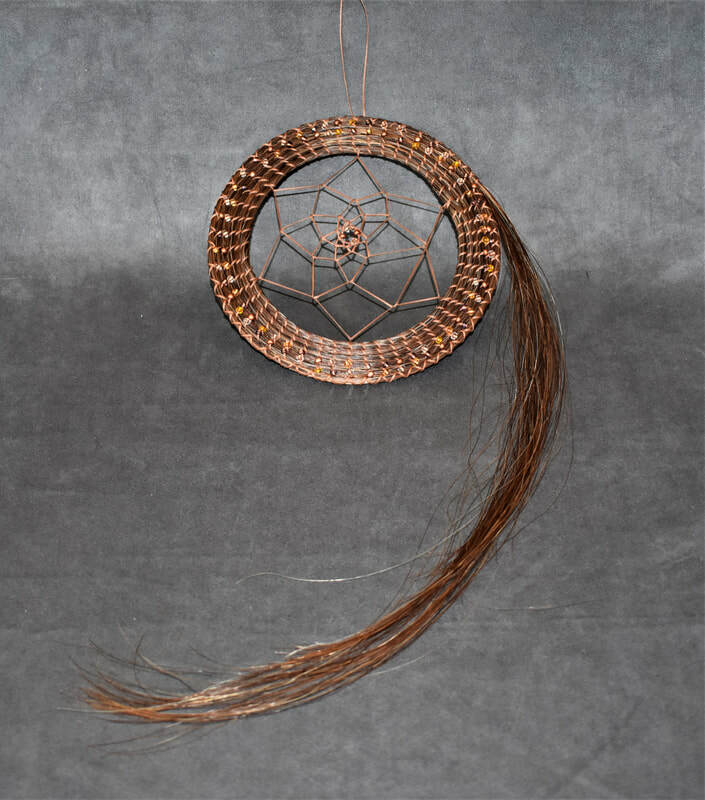 A beautiful dreamcatcher is sure to keep you having sweet dreams by letting the good dreams through the holes and catching the bad dreams in the web. 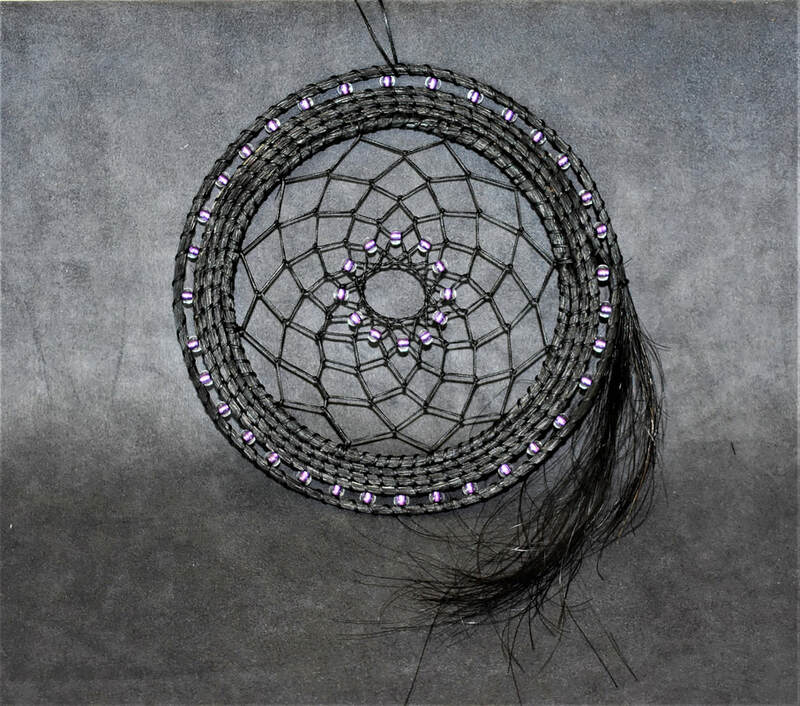 The bad dreams will burn off with the morning light and the catcher will be ready for the next night. 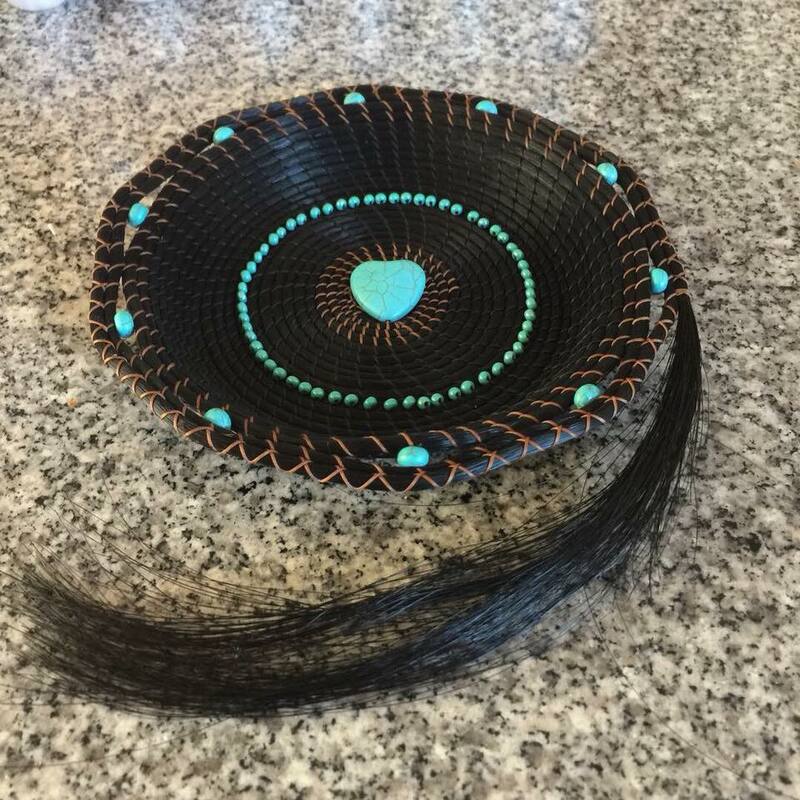 7" in diameter and require a 1/2" bundle of the longest available hair. You may choose any color of beads and thread (shown at bottom of page), and the loose, tight or triangle web shown respectively below. 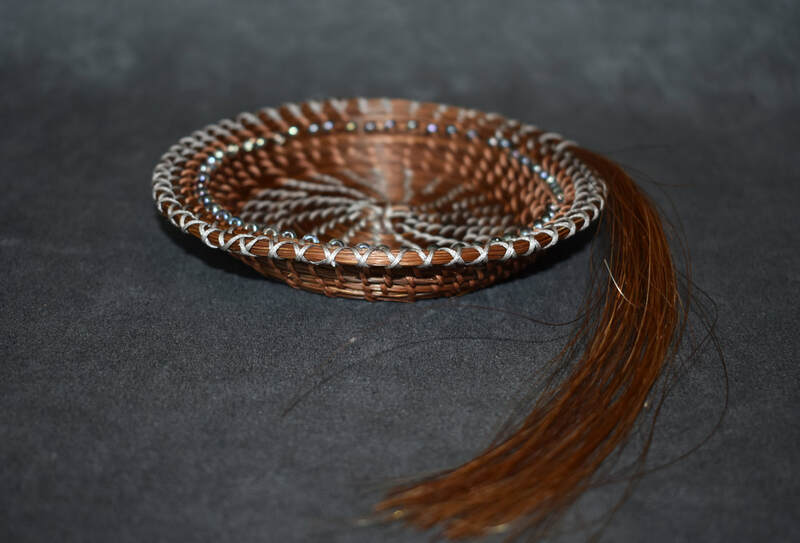 Chestnut hair with brown thread and bronze beads. 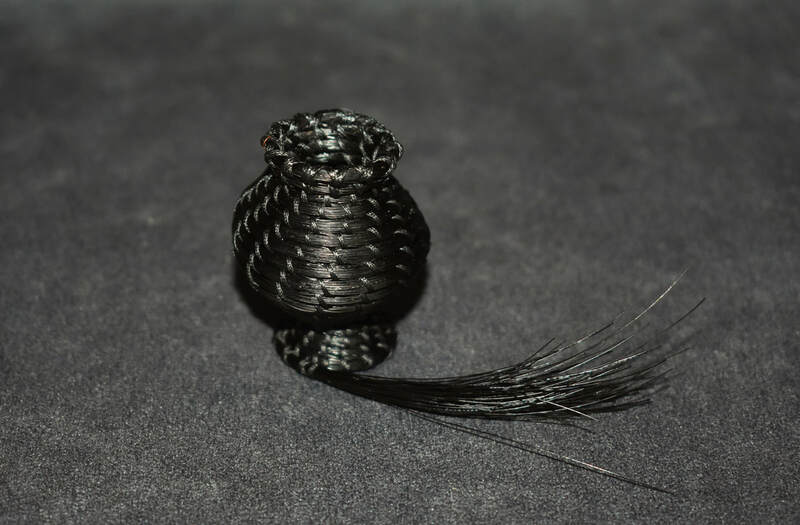 Black hair with black thread and purple beads. A stunning vase with flowers will sure to make your dresser or shelf more beautiful. 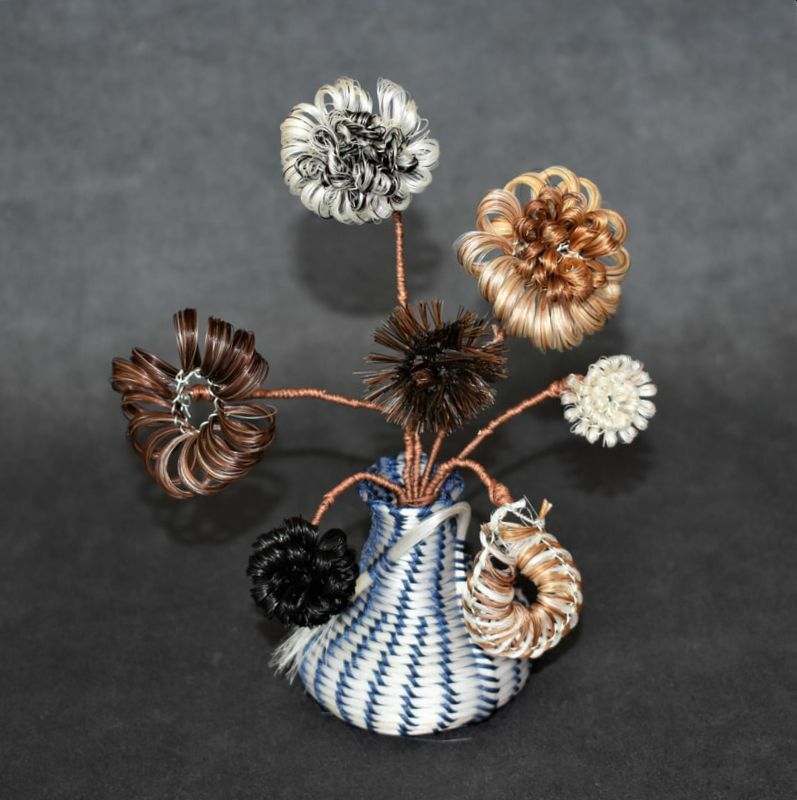 Vases are approximately 2" in diameter and 2 1/2" tall. 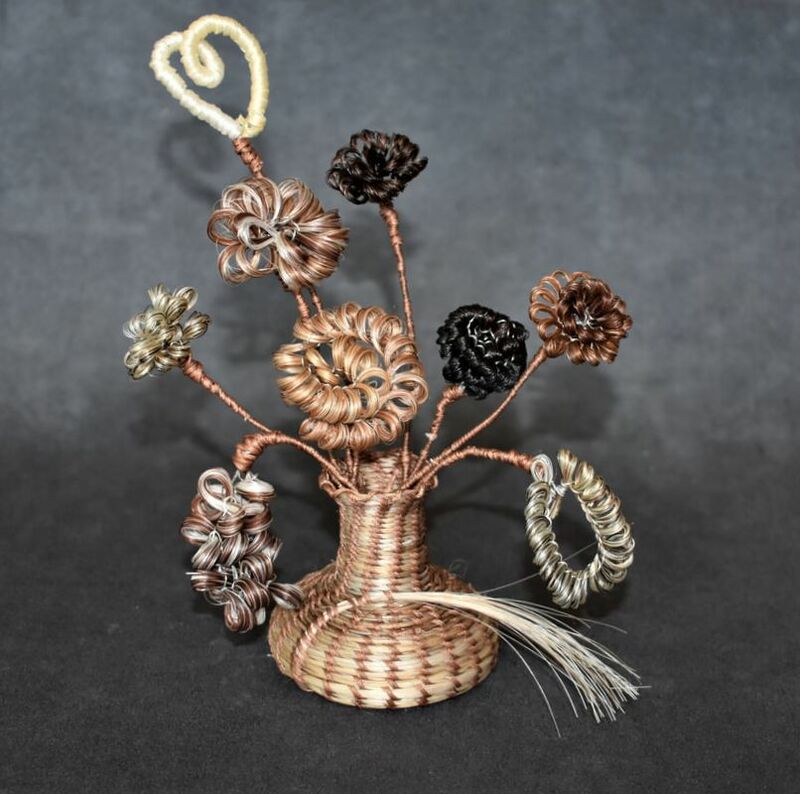 Flowers come in many sizes from dime to 1/2 dollar in diameter. Requires a 1/2" bundle of the longest available hair. 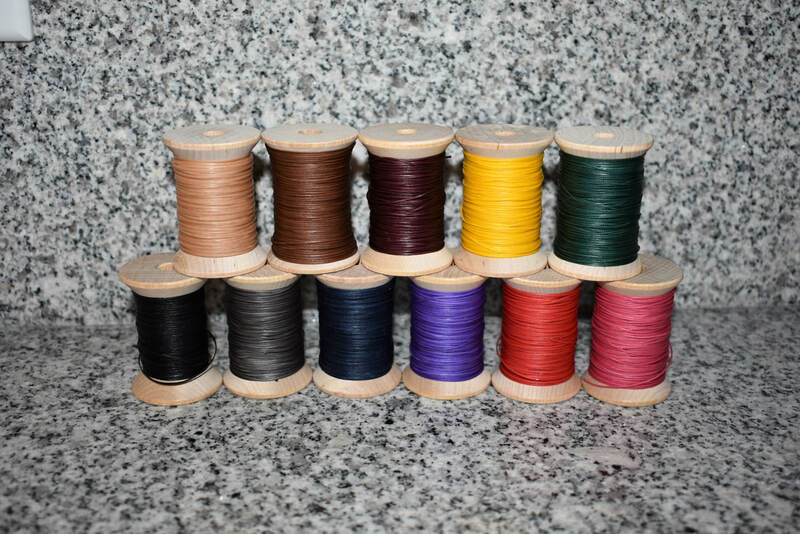 You may choose the color of thread (shown at bottom of page). White hair with blue thread. Black hair with black thread. 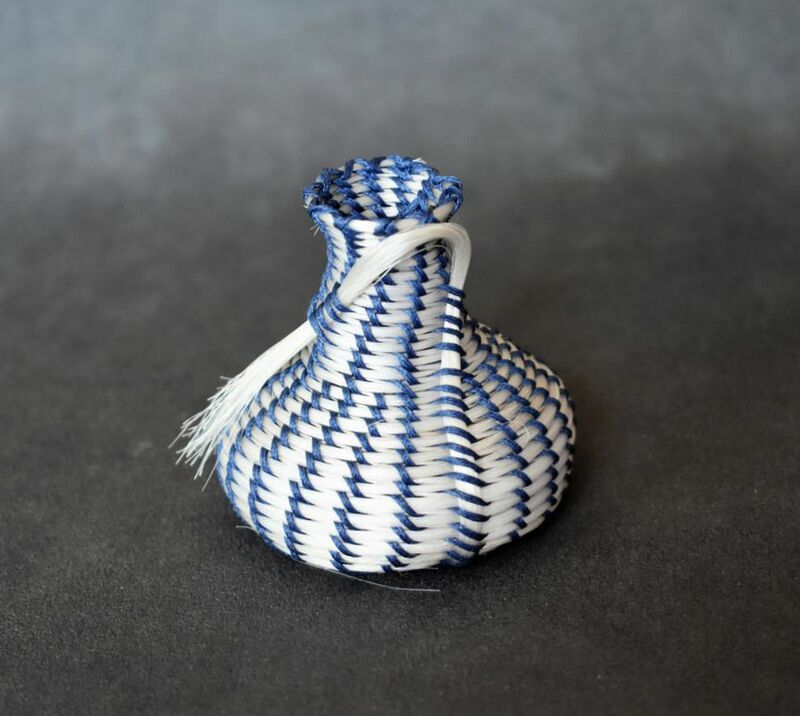 This vase is a small 1" diameter and 2" tall. A beautiful ornament will dress up your car's rear-view mirror, Christmas tree or anywhere else your choose to hang it. Made with a metal ring in the 1" center to hold their shape and are 2" in diameter. Requires 1/4" bundle of the longest available hair. 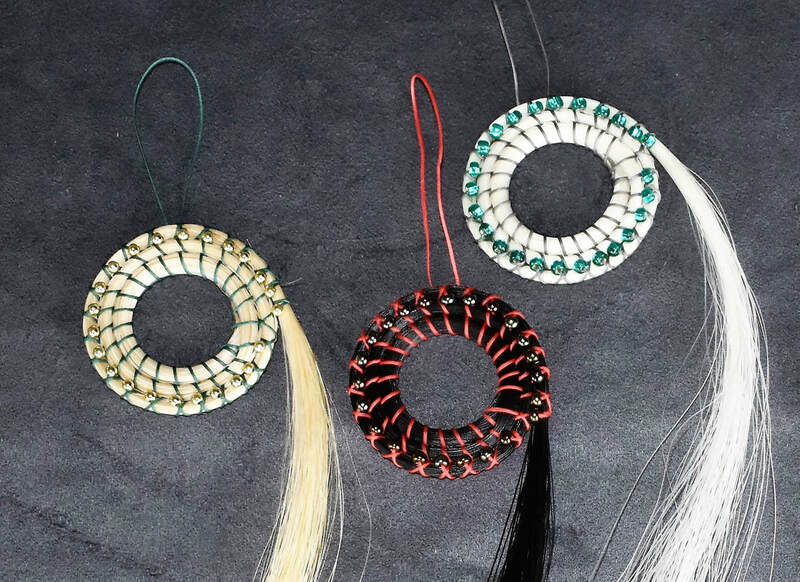 You may choose any color of beads and thread (shown at bottom of page). 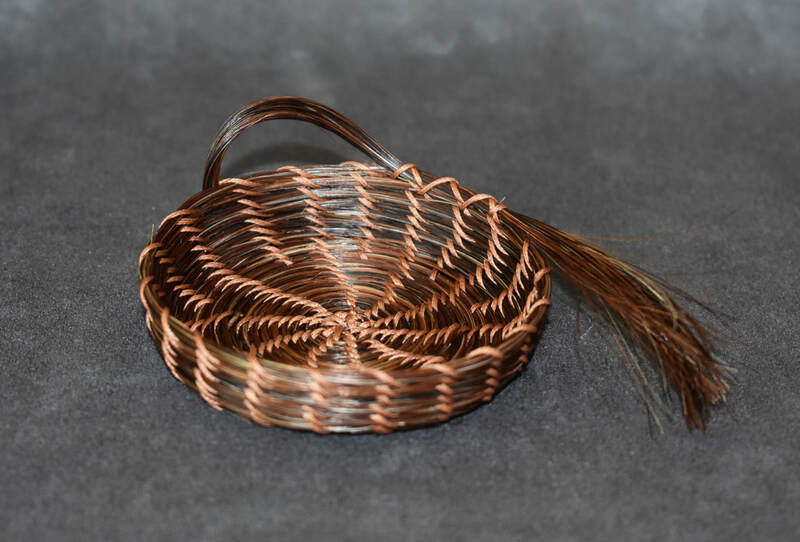 Baskets made with your horses hair will decorate your home and hold little trinkets for you. They can be any size desired. 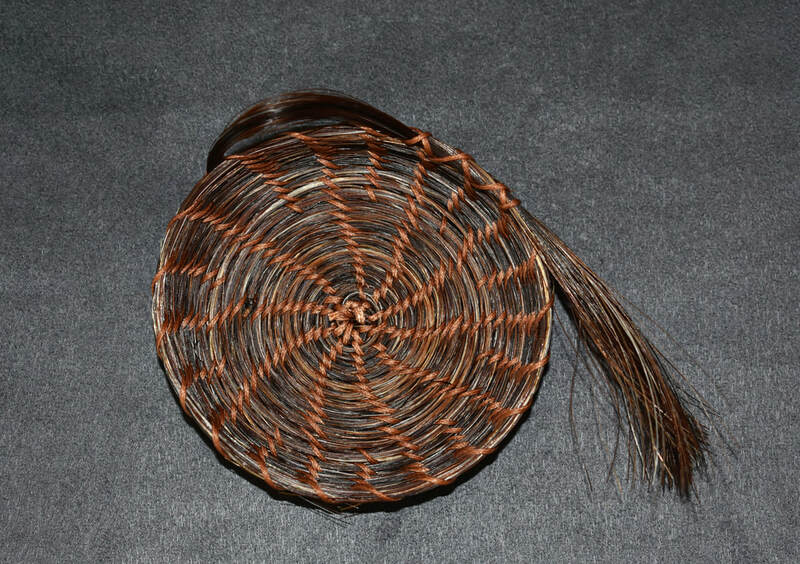 Below are two examples of baskets the first being approximately 3" diameter and 1" tall for $160.00 the second is approximately 5" in diameter and 3/4 tall for $300.00. Requires at least 1/2" diameter bundle of the longest hair available. Larger baskets require more hair. Choose any color of bead (optional) and color of thread (shown at bottom of page). Email for quote. 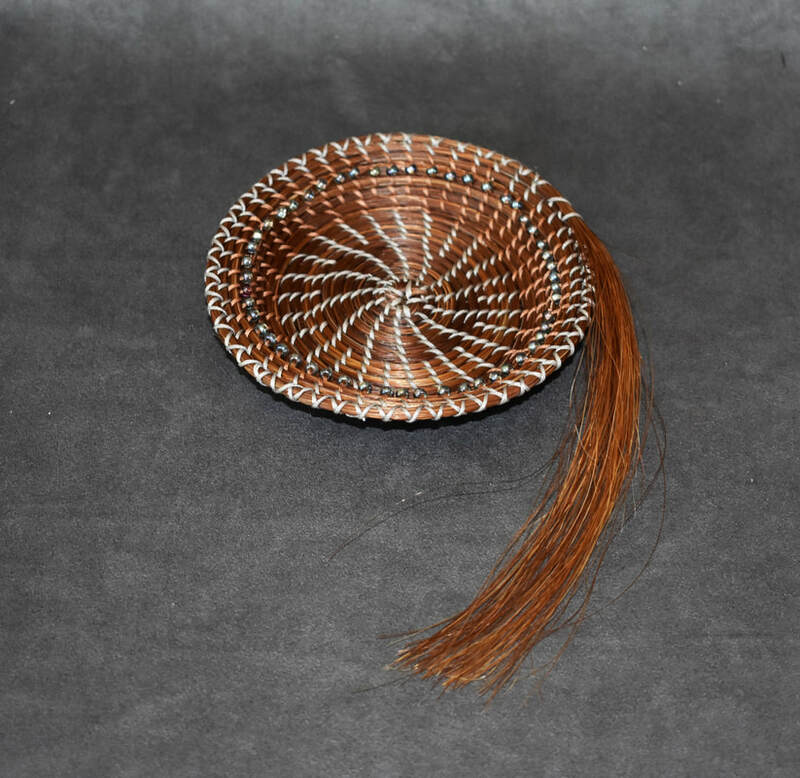 Chestnut hair with brown thread. 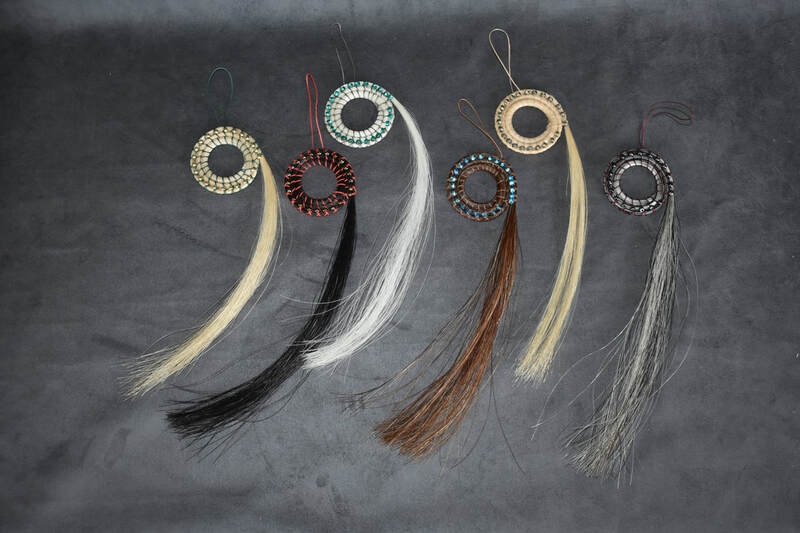 Chestnut hair with grey and brown thread and grey beads. 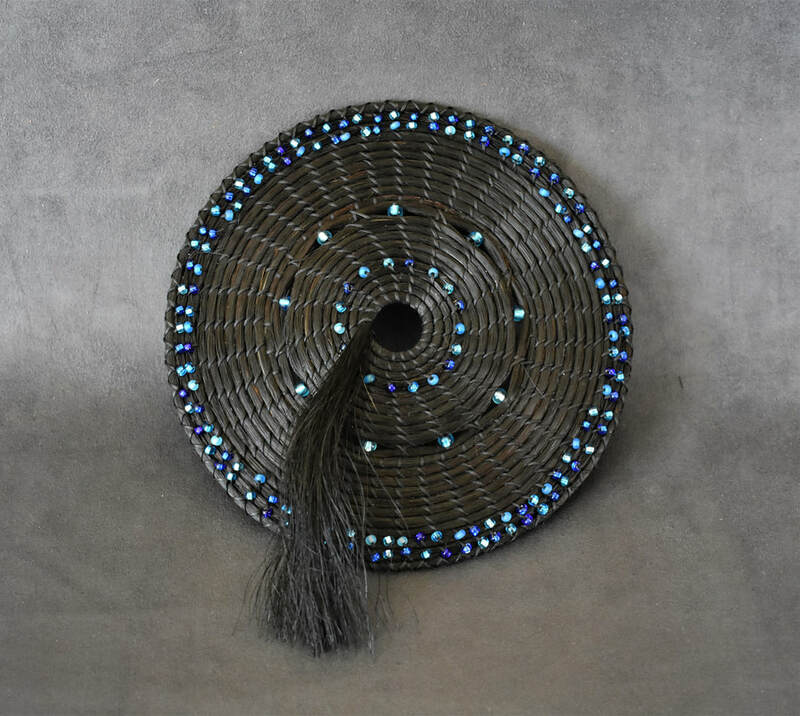 A gorgeous medallion will spruce up any wall or shelf. 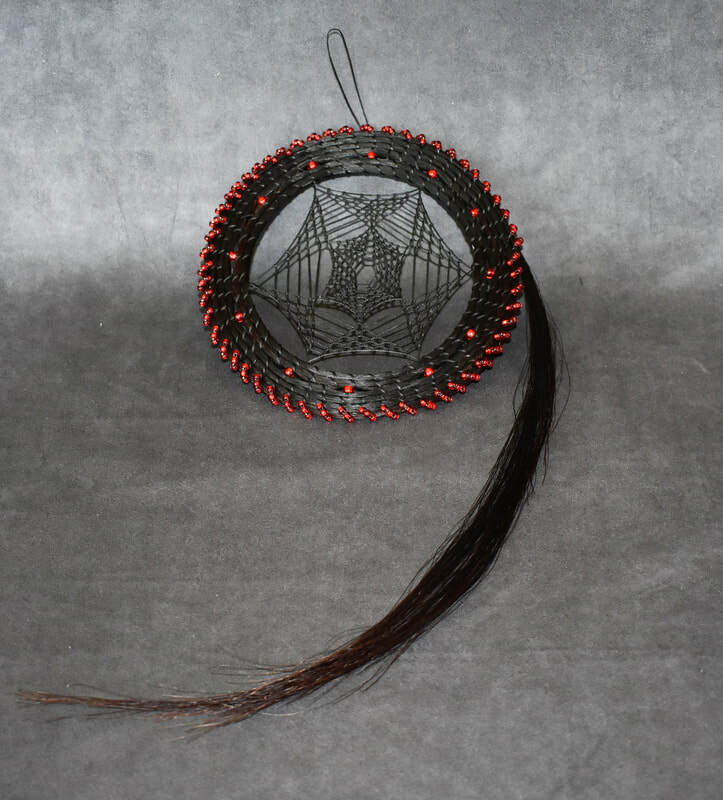 Made 9" in diameter it requires 1" of the longest available hair. Can be made with any colors beads desired and choice of color of thread (shown at bottom of page). 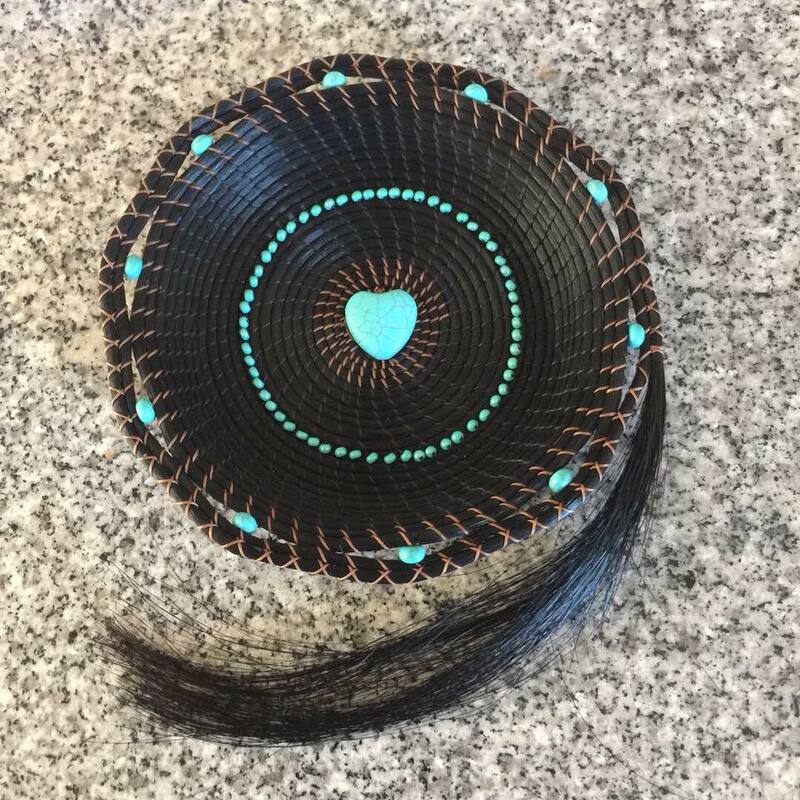 Black/brown hair with black thread and blue beads. Chestnut hair with Pink thread and multicolored beads.